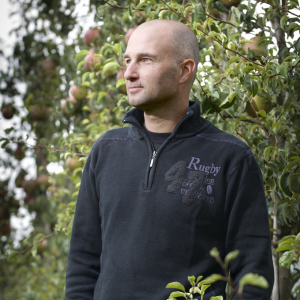 In the Netherlands, 55 select growers have chosen Sweet Sensation as their pear. Cultivating a new race is an investment in their future: it takes skills developed over generations to get the best out of the pear tree, the harvest and maintain optimal conditions for the future. 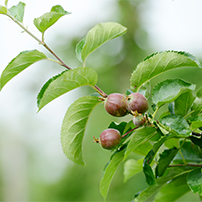 See how it’s grown all year round, enjoy the beauty of Sweet Sensation orchards in spring. Sweet Sensation is a completely natural product and our growers respect that. 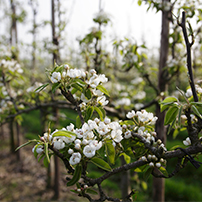 The orchards are managed as naturally as possible, using environmentally sustainable products to make sure each Sweet Sensation is a truly healthy treat. Feel the warmth of our Sweet Sensation orchards at harvest time. 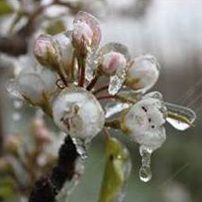 Whatever the weather, Sweet Sensation is safe in our growers’ hands. Growers are weather experts; they don’t watch the forecast on TV – they know what’s going to happen the next day and prepare for it in advance to safeguard their harvest. If there’s a sudden freeze, a heavy downpour, or a long dry period, your Sweet Sensation will be prepared and protected.